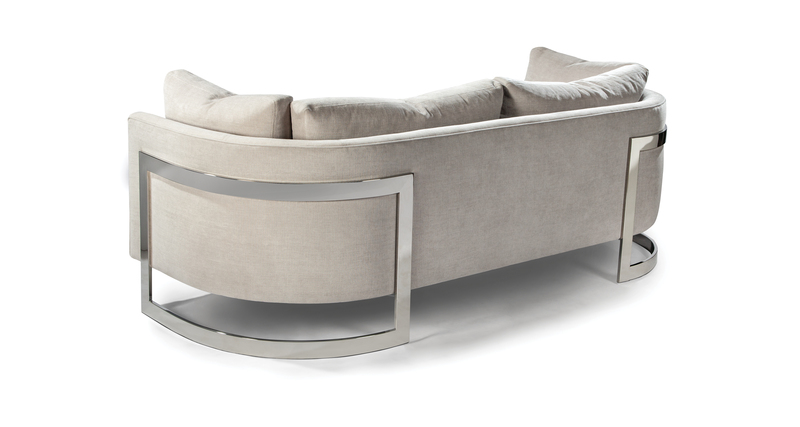 Designed by Guy Hill, our Squeeze sofa features classic tailored upholstery and luxurious cushioning embraced by a decadent curved metal frame. Select from any of our in-house curated fabrics or leathers or provide COM. 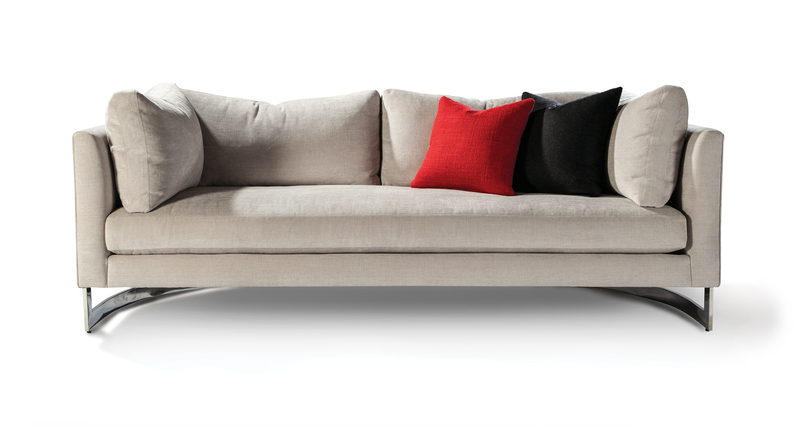 The Squeeze sofa is available with either a polished stainless steel frame (No. 1427-303) or with a brushed bronze frame (No. 1427-303-B). Height to top of back cushions is 34 inches approximately. Shown with polished stainless steel finish. Also available in brushed bronze finish. Throw pillows optional.